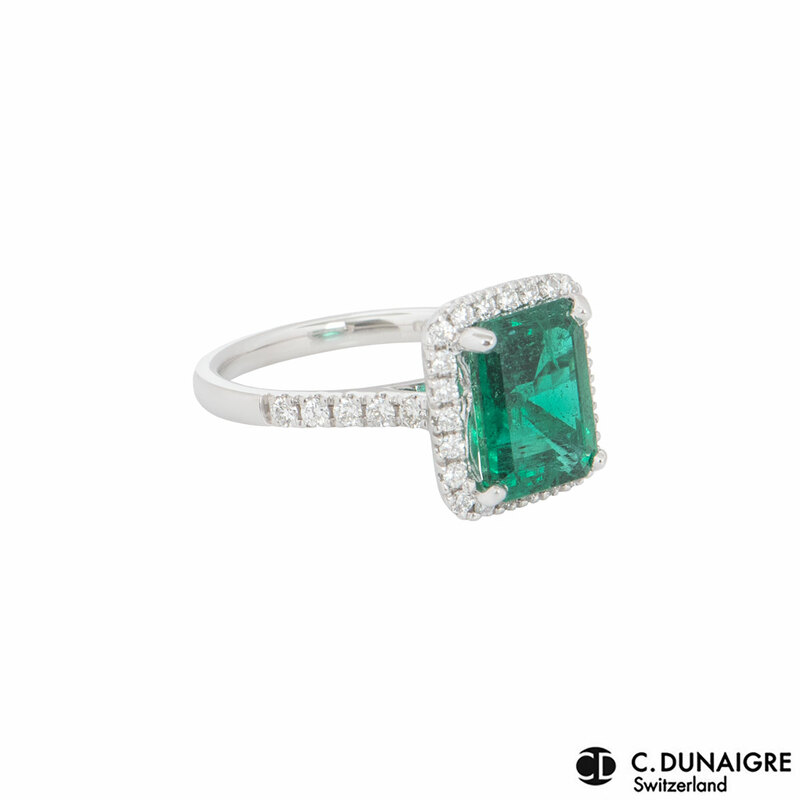 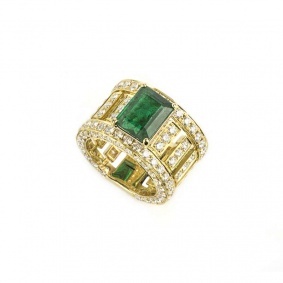 An 18k white gold diamond and emerald ring. 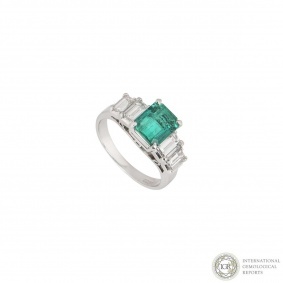 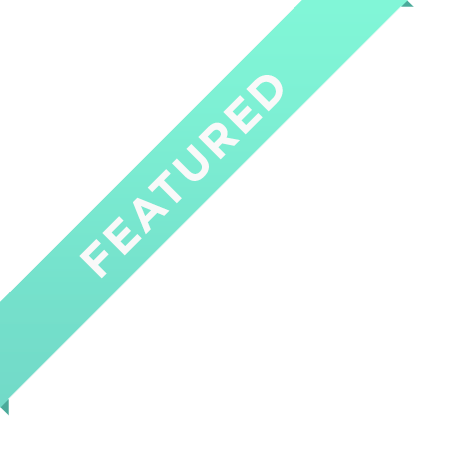 The ring comprises of a step cut emerald in a four claw setting in the centre with round brilliant cut diamonds in a halo setting and on the shoulders. 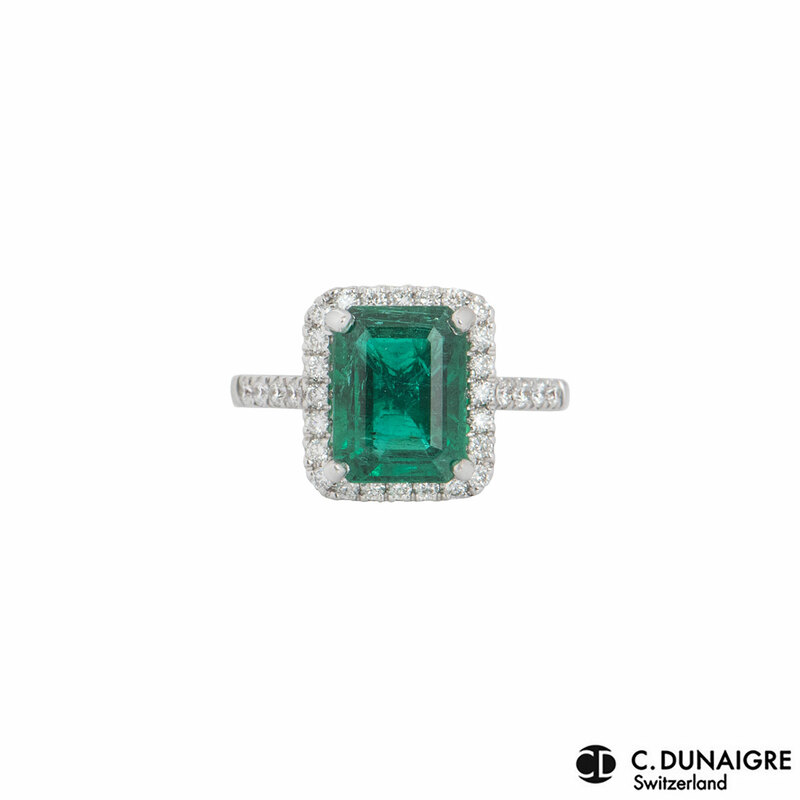 The emerald has a weight of 3.06ct and the diamonds have a weight of 0.47ct. 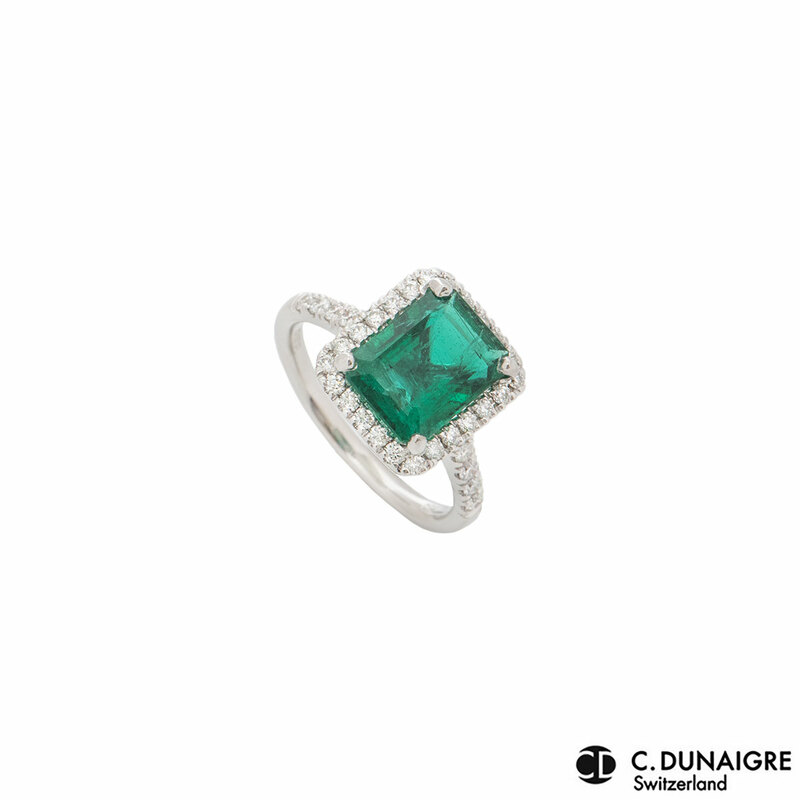 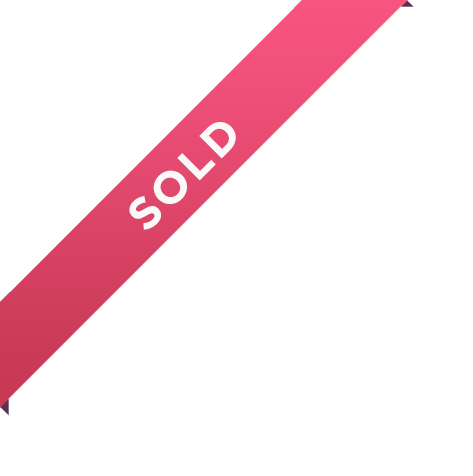 The ring is a size M½ and can be adjusted for a perfect fit with a gross weight of 4.50 grams. 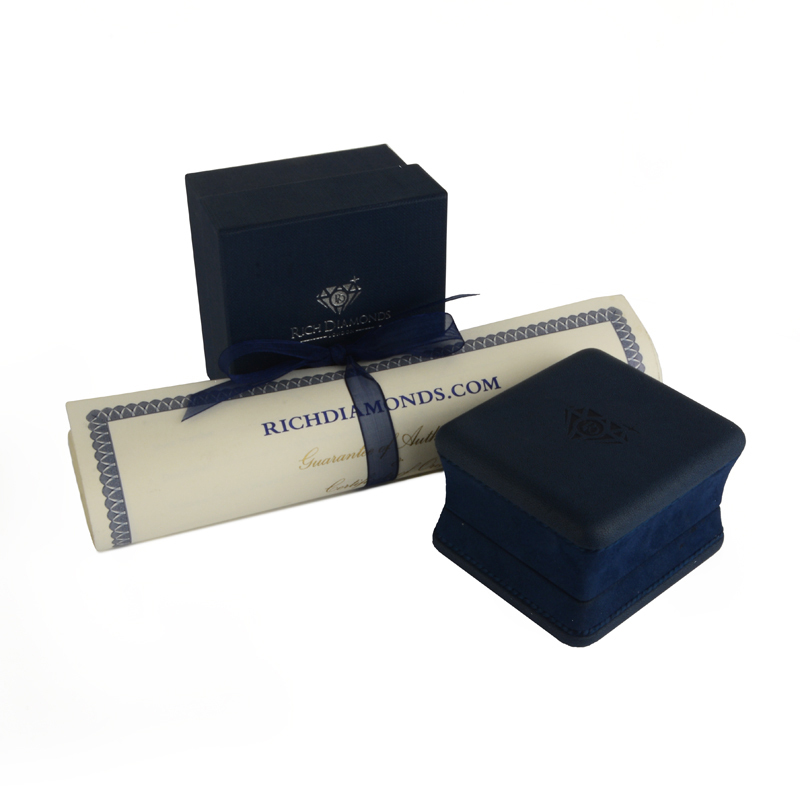 The ring comes complete with a RichDiamonds presentation box and C.Dunaigre gemstone report dated March 2014.